NOTE: Your email address will only be used for alerts and will not be divulged to any other party. 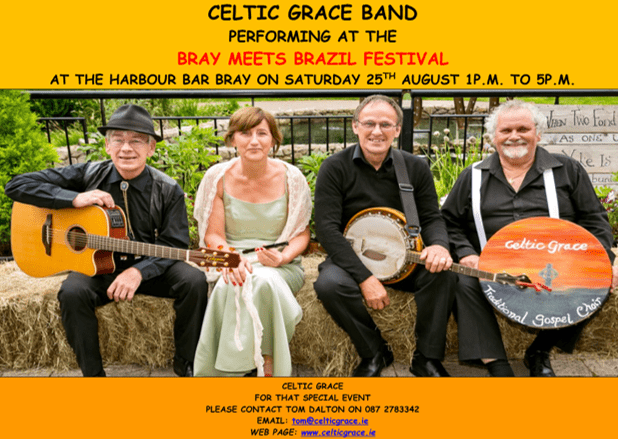 CELTIC GRACE BAND PERFORMING AT THE BRAY MEETS BRAZIL FESTIVAL. 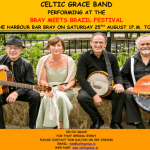 HARBOUR BAR BRAY ON SATURDAY 25TH AUGUST 1P.M. TO 5P.M.